Aite. Just be sure you stay active, at least on the forums so we know that you still wanna stay with us. Speaking of still wanting to be us, I spoke to that ODST on Live yesterday. 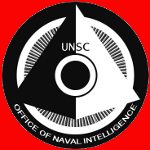 He is no longer a member of the UNSC MC. Never knew him. So that doesn't bother me. It's his loss, not mine. I'm fine where I am. Dont you mean that spartan IV? Hold on, hold on, Raven. Flushed just made me think for a bit. Was that really thatSpartanIV that quit? His site name is thatODST. Man, I knew him. I played a couple games with him some time back. One of the newer ODSTs, just one before Reaper. Dang. @ Flushed and Smith - That was thatSpartanIV that quit. His site name was thatODST though.